Hendrix closed several years ago, but we are a dealer in after market Hendrix parts. We have a diverse selection, but it does not include every part made. Call us to find out if we have the Hendrix part you need. Below is a diagram of a bucket with all parts to help you when discussing your needs. Below the diagram is the original Hendrix parts book, to aid in looking up whatever you require. 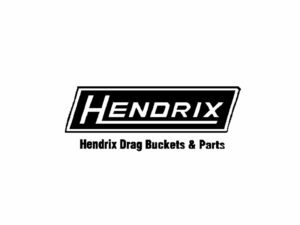 Click on the link below to access the Hendrix parts books, all our replacement parts use Hendrix numbers. The link will open in a separate tab.